Say goodbye to frustration for you and your team members. Let's take a peek at a common scenario. It's a Thursday night, and while you should be focused on food quality and presentation, the appearance of your restaurant, and customer satisfaction, you're stuck in the back room, pouring over a well-worn schedule book, with a pencil that's quickly growing dull. The fluorescent light overhead flickers, and you catch yourself daydreaming about dinner. You're sorting through hand written notes, with shift change requests, and scheduling changes. Wait. You just remembered that someone sent a text that they can't make it in next week because of a family emergency. You try to jog your memory, who was that? You look through your phone to no avail. Frustrated, you finish up next week's schedule and hope for the best. 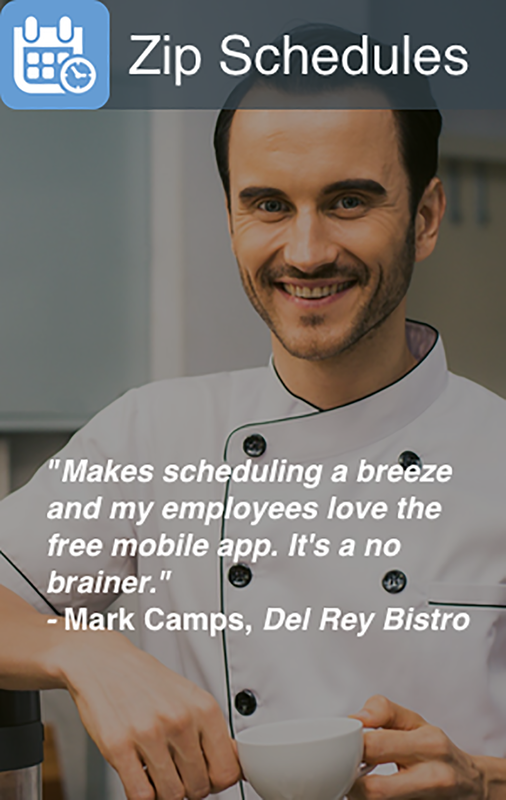 Our Zip Schedules app is the perfect for solution for managing your team's time. Before a staff task scheduling app like Zip Schedules was available, managers were left to schedule shifts the old way, spending countless hours putting pieces of an intricate puzzle together. 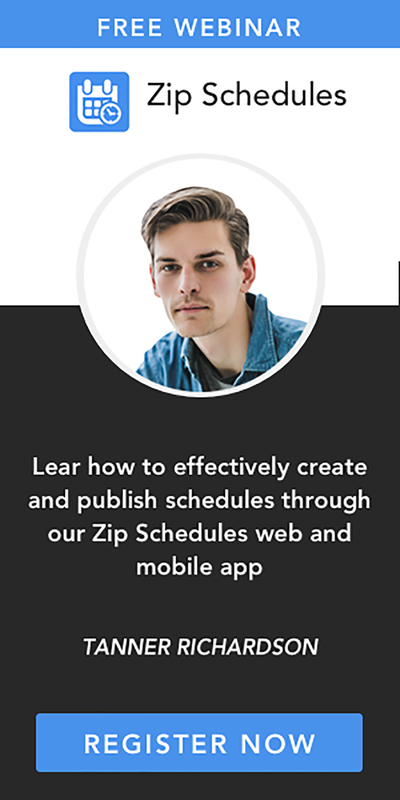 Regardless of your industry, Zip Schedules can get you scheduling in minutes, instead of hours. Our unique online schedule maker includes fast setup, effortless shift scheduling, labor law reminders, budgeting, effortless communication, and a simple way to manage schedule requests.